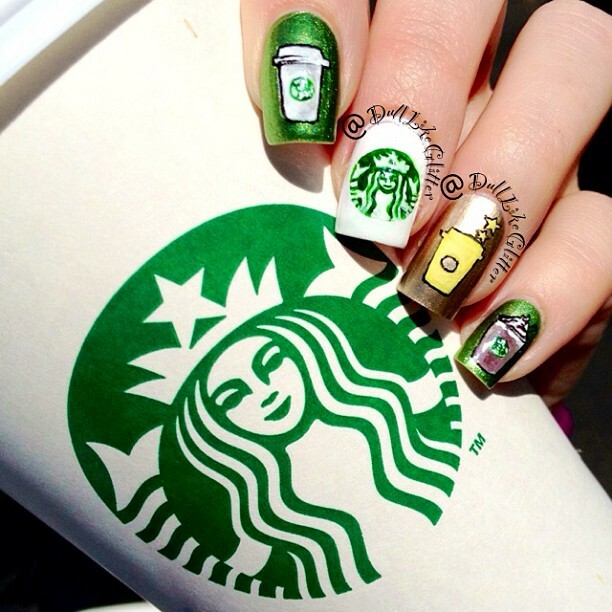 Saving the World One Nail at a Time: Starbucks Nails! I recently received my Starbucks gold card in the mail and I had to celebrate with some nail art! For these nails I painted a hot coffee cup on the pointer, the Starbucks siren on the middle, the gold card symbol on the ring and a frappuccino on the pinky. Did you know that now through May 12th from 3-5pm Starbucks is running happy hour! Half price on all frappuccinos!